in my dreams at least. Here in Northwest Indiana we are in the middle of a snow storm. I had fun using the Heartfelt Creations Tulip Time Collection to create this miniature flower pot. 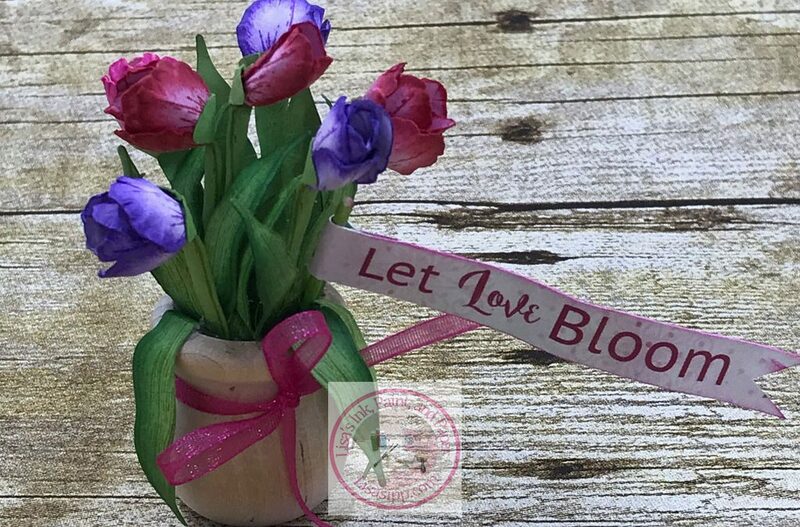 I used a small candle cup for the pot and the smallest flowers and leaves. A toothpick was used to attach the banner. When started shaping the flowers, I didn’t have any problems shaping the flower buds. It took a bit more to figure out how attach it to the stem, but when I thought of the shape at the top stem as a seat (it reminded me of the seat on an old tractor pedal car we had growing up, I think it might still be in the attic). I still wasn’t happy with the way the flower was looking. 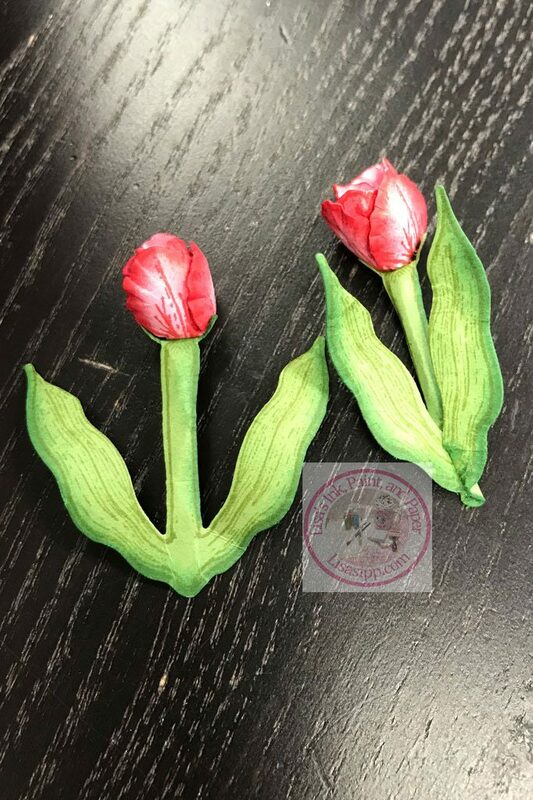 Tulip leaves don’t stick out to the sides like arms, the wrap around the stems. So I took a piercing tool and wrapped the stem around it to form a tube. Then from the back, I pinched the leaves where they join stem to the front. I added a bit of glue to hold the leaves in front. Now I am in love with the tulip. You can also pinch the leaves to the back of the flower stem. 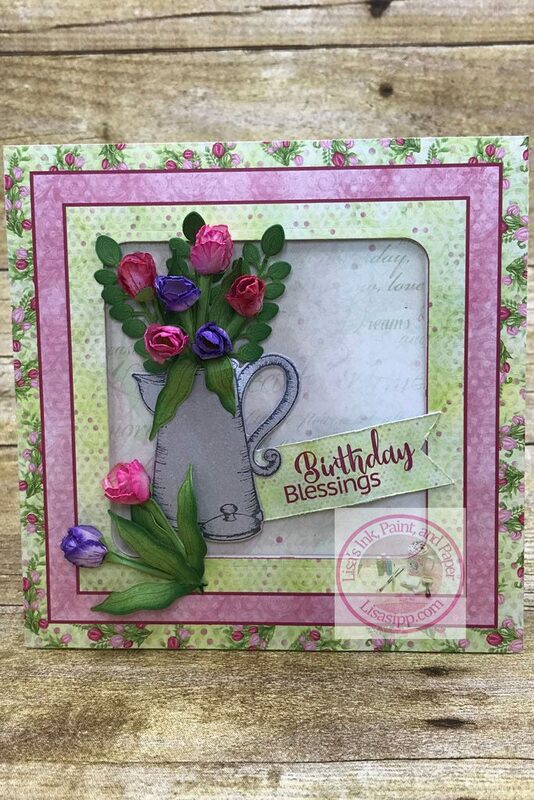 For this 6″ x 6″ I used the smallest tulips and some of the filler flowers in the coffee pot. The background paper is the back of the center square. These cards where part of a Make-n-Take at Cafe Crop in Merrillville, Indiana. 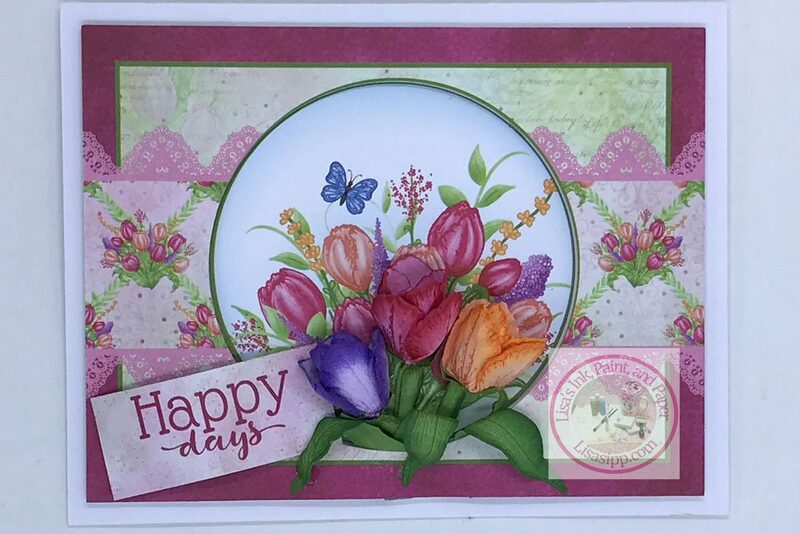 This is an A2 card, with the medium tulips bursting out from the center of the card. Thanks for stopping by to Tiptoe through the Tulips. Beautiful!! I miss you guys! !